the number of slices goes to infinity. 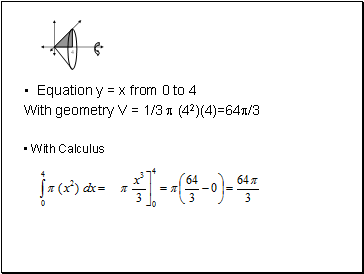 To find the volume of each slice of the pyramid you would find the area of each square then multiply the area by the thickness of the slice. 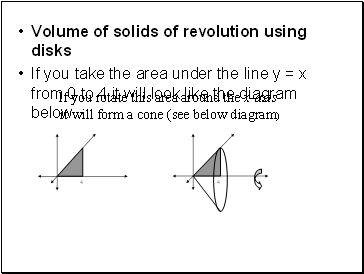 The thickness would be dx because we are slicing with respect to the x-axis. 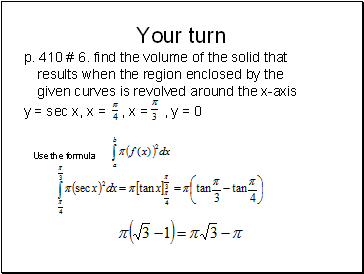 Next you would add the volumes of each slice together to find the total volume. 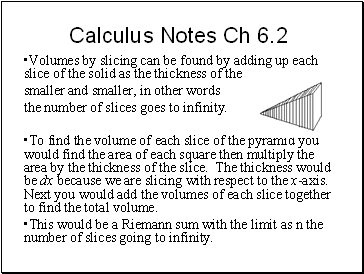 This would be a Riemann sum with the limit as n the number of slices going to infinity. 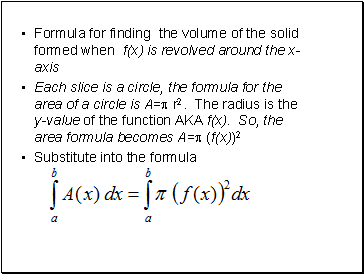 Only now instead of f(x*) we will be summing the areas of the base of each slice. 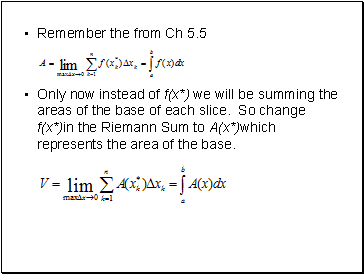 So change f(x*)in the Riemann Sum to A(x*)which represents the area of the base. 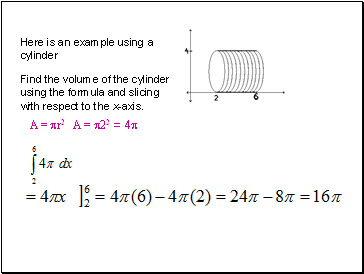 Find the volume of the cylinder using the formula and slicing with respect to the x-axis. 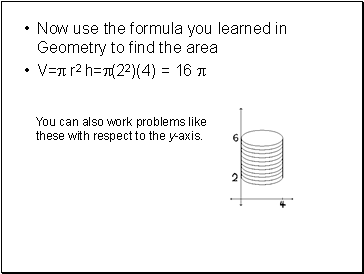 You can also work problems like these with respect to the y-axis. 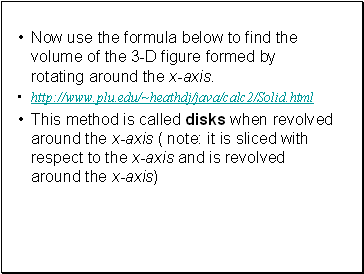 Now use the formula below to find the volume of the 3-D figure formed by rotating around the x-axis.